A daily schedule wasn't enough. For a long time I've thought the easy-to-do daily wall schedule would be enough. I was wrong. We're all accustomed to the daily classroom schedule. The size and scope varies, but for the most part they're fairly generic and give a simplified overview of the day's events. They let students know what the day holds or any changes that might be coming or even surprise events. They're great for teachers and for students that need to know. We've got so many students that have their own daily schedules for pullouts and specials too. School is a society of schedules. So you know, I'm a special education teacher, we call it resource. I have students using multiple varieties of schedules for the day--but I realized their scope was too broad because my students knew what subject we were doing, that was it. They didn't know WHAT we were going to do in the classroom. I had been asking my students to learn the WHY, but I had completely forgotten to show them the what. Who's on first? 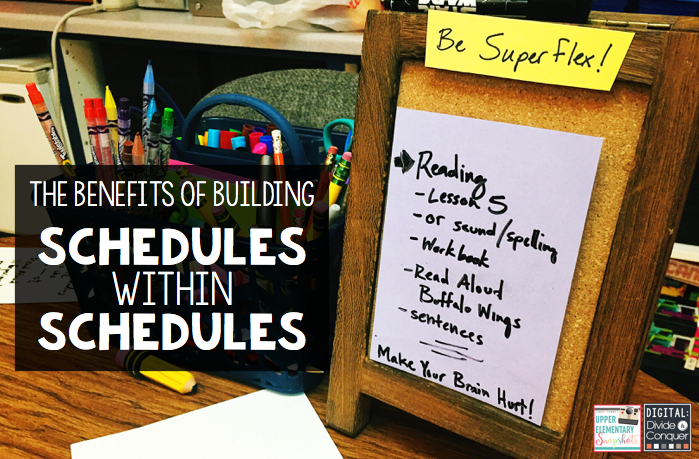 Now, I realize that breaking down schedules into mini-schedules isn't this unbelievable creation (unlike the Roomba) but it is crucial element of learning. The importance of giving students visual reminders pertaining to specific subjects and tasks is important. Since most of my teaching takes places in small groups, I stopped at Target and bought a stand (in the home office section) and bought some smaller card stock. I laminated the card stock and now write schedules with an Expo market. It's not the most fancy or earth shattering creation, but it's manageable and highly functional. And it's the first things my students gravitate to when they enter the room. Expectations are being met. Students know exactly what we're trying to complete for the day/session/activity. I don't know about you, but my students get a little excited when they complete everything on a list--it doesn't matter what grade they're in. As these expectations are being met, we've had more opportunities to expand into areas that are (sometimes) more engaging for them too. It's a win-win. Routines are being built. My students come in and look for the schedule. This has cut down on lost work time. I might not be a creature of organizational habit, but my students are. Routine and practice builds responsibility with my students, they like that. More is accomplished. 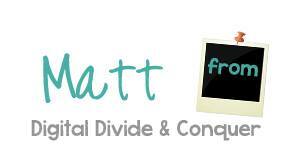 Time has always been an enemy of mine, but now we (the students and I) have a sharper focus to complete lessons. The more we accomplish (in regards to core academic areas) the more we can move into cross-curricular activities that involve PBLs and STEM. This is excellent! 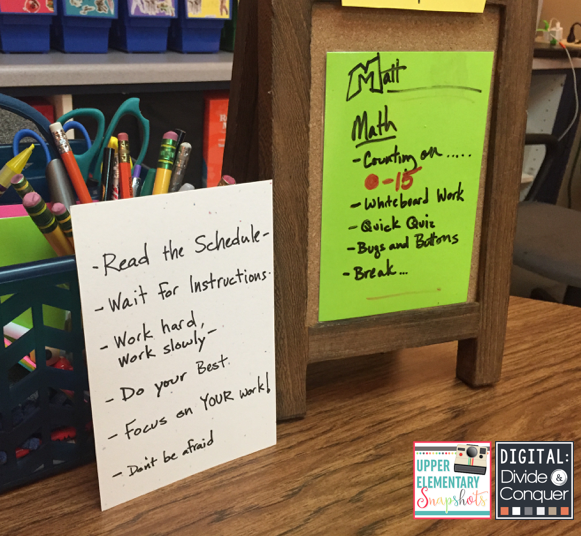 Learning targets are embedded within the schedule. The targets aren't for just academic learning. 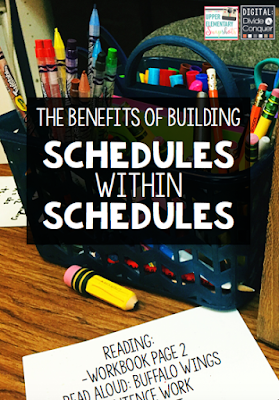 They're for independent functioning and behavioral expectations and they're included within each schedule so students understand the expectations. From beginning tasks independently to working hard (and slowly) we incorporate those life-skills that are of key importance. These are exactly what my schedule within a schedule looks like. Nothing fancy, just functional. 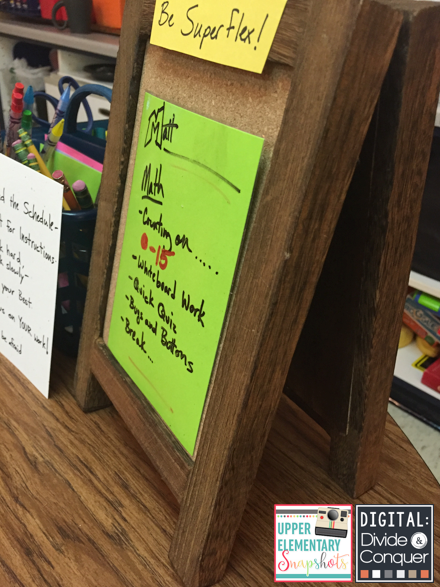 This set-up might not work in every classroom, another option is writing it on the board. Take an extra minute during transition time and writing your specific schedule within each lesson. 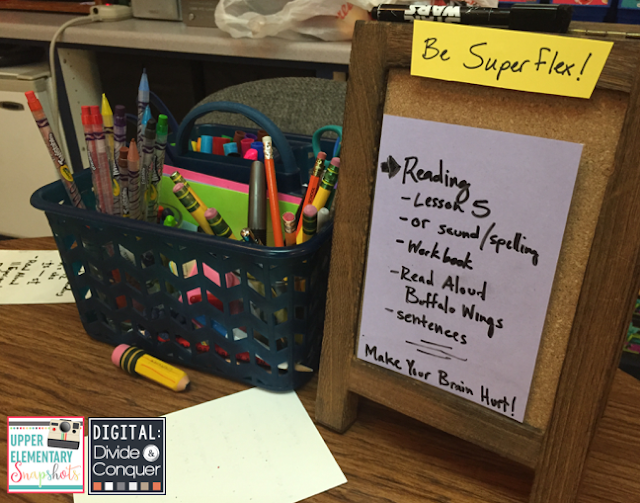 Be super-specific or not, just let students see what will be happening. Since I typically work in small groups, this is what works best for me. Here's a better look of the stand. The back side uses chalk. As a teacher, one of my main goals with this change was to be very deliberate with instruction and information students ,so students know where we're going and what they'll be doing. They might not always be happy about the writing or math lesson, but they know what they need to accomplish. If you're looking to put schedules inside the schedules or your larger daily schedule...well, that's another story.